Riri ga ngegym apa kayak personel suju rata2 pd ngegym ? Kamvret emg seungri posenya, padahal dia msh jauh lbh muda ketimbang ralin ama milen, tp udh kaya om2 bandot gt yg lg dikerumunin cewe2 abg. seungri ini dari dulu udah terkenal suka bungkus cewe di club, makanya dia jarang kena skandal ama artis/model list A. 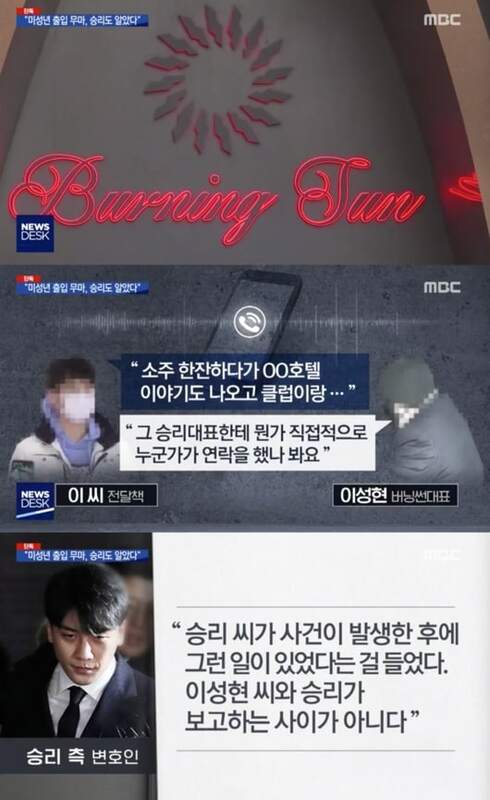 On March 19, MBC Newsdesk revealed that it obtained phone conversations about the entry of a minor into Burning Sun that happened in July 2018. According to the report, the mother of a student called the police saying that her son, who was a minor born in January 2000, had entered Burning Sun in the early morning of July 7. Burning Sun was facing the threat of suspension of business. The case was forwarded to the prosecutor office with the suggestion of non-indictment about a month later. In the recording of the phone call, Mr. Lee said, While drinking soju, talks about [redacted] Hotel came up and the club and CEO Lee Sung Hyun continued, It seems someone directly contacted Seungri. Mr. Lee said, Since the person directly involved in the report is Seungri, he probably knew. Lee Sung Hyun said Yeah, [Seungri] was contacted about two times, confirming that Seungri was informed about the entry of the underage customer into the club. Regarding this, a source from Seungri legal representative said, Seungri heard that something like this had happened after the incident had occurred. Lee Sung Hyun and Seungri are not in a relationship where they report to each other. 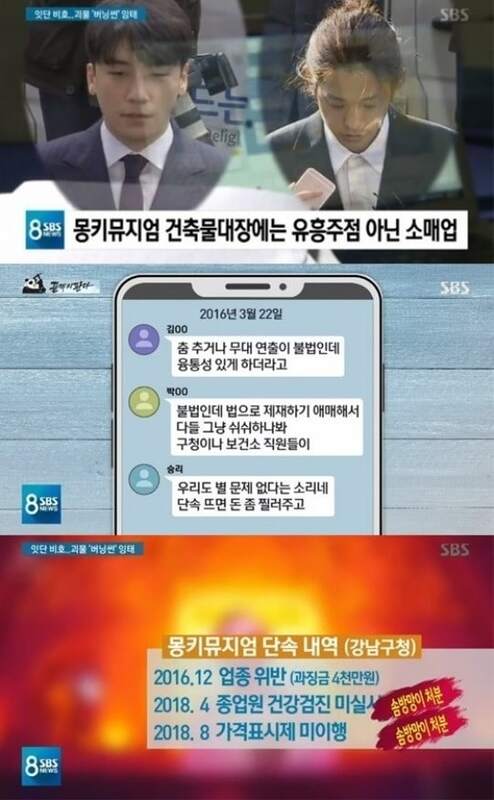 Newsdesk stated that the police is analyzing the phone call recording and investigating Seungri under suspicions of interfering with the case of entry of a minor. On the same day, SBS 8 O Clock News shed light on suspicions about illegal business practices of Seungri other club Monkey Museum which he operated before Burning Sun. Mr. Kim said, Its illegal to having dancing or a stage, but youre good at working flexibly, and Mr. Park added, Its illegal, but its hard to impose sanctions against it, so everyone just staying silent. Seungri then responded, It means that we dont really have a problem. If they crack down, well slip them some money. They gave him money to gamble, to bypass the law. What started as the Burning Sun incident has now expanded into an investigation on illegal overseas gambling, not just by Seungri but by other celebrities as well. 1 Night 2 Days stars Cha Tae Hyun and Kim Jun Ho have both admitted to participating in illegal gambling and have stepped down from all of their shows. There are suspicions pointed towards other celebrities also participating in illegal gambling. In another development regarding Seungri alleged gambling at the Cosmopolitan Hotel in Las Vegas, police believe that 2 Korean marketers that Seungri had contact with in Las Vegas have returned to Korea. Police also believe that these 2 marketers know the frequency of Seungri visits to the Cosmopolitan, and how much money he spent and won. Back in 2014, Seungri sent a message to a business partner stating how he won 200 million KRW. I won 200 million KRW. Come to C Hotel. I will introduce you to the person in charge. The gambling benefits are good. He was also asked how he would take the money back to Korea, and he mentioned how since he was a regular at the casino, he kept the money in a save bank. Police believe these marketers, also referred to by Seungri as person in charge, help high-roller and VIP customers from Korea and all over Asia. Because of this, police are paying attention to information coming from the casino industry, to see if any other famous celebrities made high-stakes bets at casinos like Mr. K, Mr. Y, and Seungri did. Police also believe these marketers provided money to high-roller customers from foreign countries who want to bypass the United States Foreign Exchange Transactions Act. 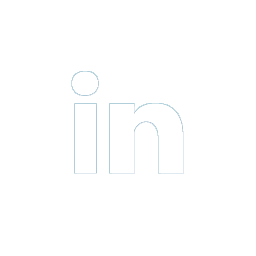 In exchange, the marketers would receive a commission based on how much money the customer won. Travelers entering the United States are allowed to enter with $10,000 without declaring it to customs. Finally, the police also suspect that a reason the two marketers returned to Korea is that they are trying to reclaim the money that Seungri borrowed from them while in Las Vegas. Since Seungri recently retired from the entertainment industry and resigned from all of his executive positions, the marketers may feel uneasy that the money they were expecting to be returned to them may no longer be available. According to the Cosmopolitan website, the casino does employ a marketing team specifically for Korean guests. However, it is NOT confirmed that the 3 staff members listed are involved in the incident. Nor is it confirmed that the marketers who interacted with Seungri are still employed by Cosmopolitan. Unfortunately, police are unable to conduct an investigation if the marketers do not comply. They are unable to force them into investigation. Because they are foreign nationals, it is also unclear whether they can request a travel ban or arrest them. Last edited by riverflowy; 20th March 2019 at 10:09..